hmmm, pizza. 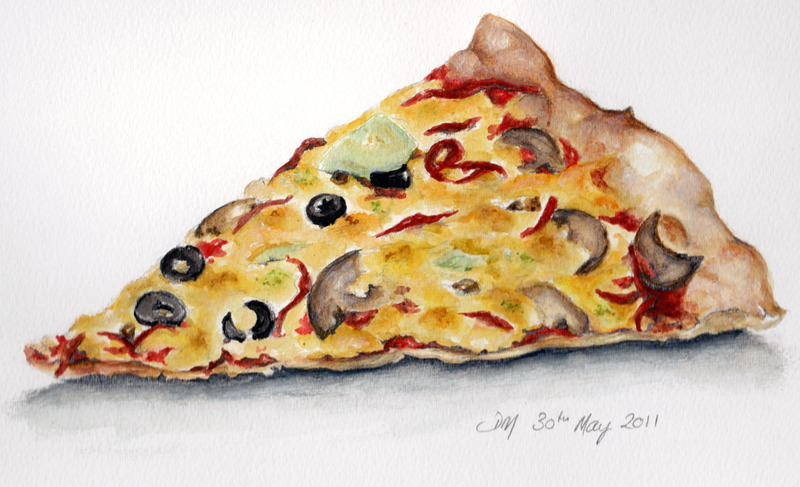 Just woke up and your drawing makes me want to have some pizza for breakfast. yum All of your edms are great. How did you manage to capture the melted cheese so well? Wow, all of your recent food posts look SO REAL! You're making me very hungry. Love this slice! =) My wife would pass it to me since she doesn't like mushroom or olives....I know right??? Those are the best stuff!!! I'm more of a just cheese pizza girl, but must admit that this looks yummy. It looks like a slice of realy NY pizza.